Nowadays, more and more people prefer cooking at home rather than going out. That is why it is so important to have a properly working range at all times. If it breaks down, you should contact our qualified range repair Wayne team without hesitation. We have a proven expertise in servicing all types of cooking appliances. 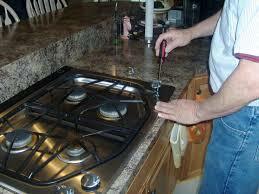 Whether it’s a gas or electric range repair that you need, our technicians will fix it quickly and affordably! A range is a complex appliance, filled with computerized components, electrical wiring or gas valves. Don’t attempt to fix it yourself if you don’t have proper knowledge and contact Appliance Repair Wayne as soon as possible. With years of extensive experience in the field, we can get your faulty appliance back on track in no time. We offer same day in-home electric and gas range repairs throughout the Wayne region in New Jersey. Our technicians are trained to fix all types of issues that may arise. No matter if it’s glass range repair or faulty wiring replacement, we will complete the task to your absolute satisfaction. By hiring us, you can rest assured the job will be done safely and correctly. Besides repairs, our company specializes in installation services. Be it an electric or gas range installation, you can rely on our team. Not only will we make sure your appliance is set right but also provide you with useful tips on how to use it more effectively. So, feel free to contact our technicians whenever you need range service, oven range repair, new unit installation or routine maintenance. 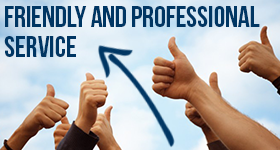 We will come out and resolve your specific concerns in a timely and professional manner. Our Wayne range repair specialists are waiting for your call!